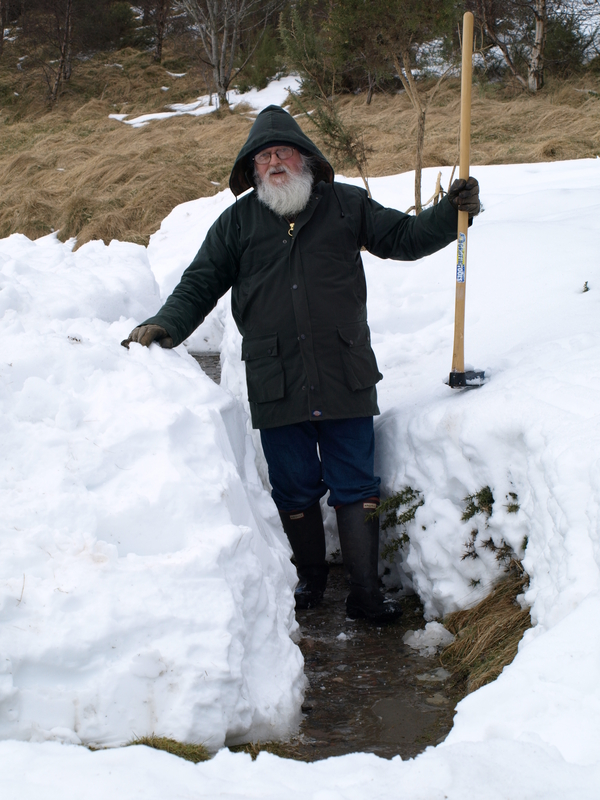 This is Santa, sorry Sandy Millar up to his waist in his drive on bank-holiday Monday. Sandy and Christine live at Knockskae, up beyond Linfairn farm. As their smallholding will be very badly affected by the wind farm proposals, they are strong supporters of our campaign.